Now Kate Kelly, a clinical psychiatric nurse, and Peggy Ramundo, a specialist in learning disorders -- both of whom were diagnosed with ADD after discovering it in their children -- bring together their considerable personal and professional experiences to create the essential guide to identifying, understanding, and managing the dynamics of ADD in adults. Already well respected across the country, You Mean I'm Not Lazy, Stupid Or Crazy?! is the indispensable reference for anyone who faces the challenge of ADD on a daily basis. What is your financial bottom line -- how much income do you require to maintain an acceptable standard of living? What must you do to renew yourself spiritually, not just in the sense of religion, but regarding anything that gives your life meaning? How long can you work efficiently without a break? 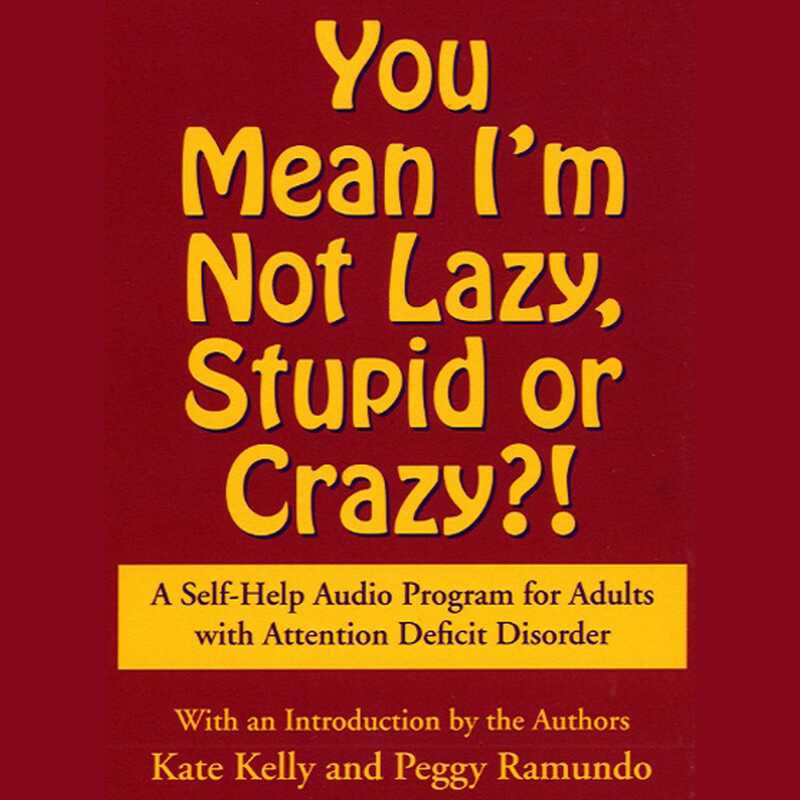 Book Cover Image (jpg): You Mean I'm Not Lazy, Stupid or Crazy?